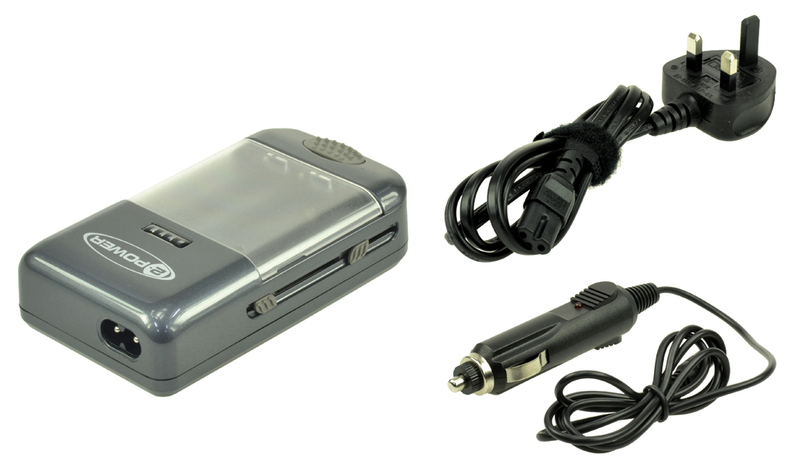 Universal Battery Charger suitable for charging many types of low voltage battery packs for Cameras, Camcorders, Mobile Phones etc. 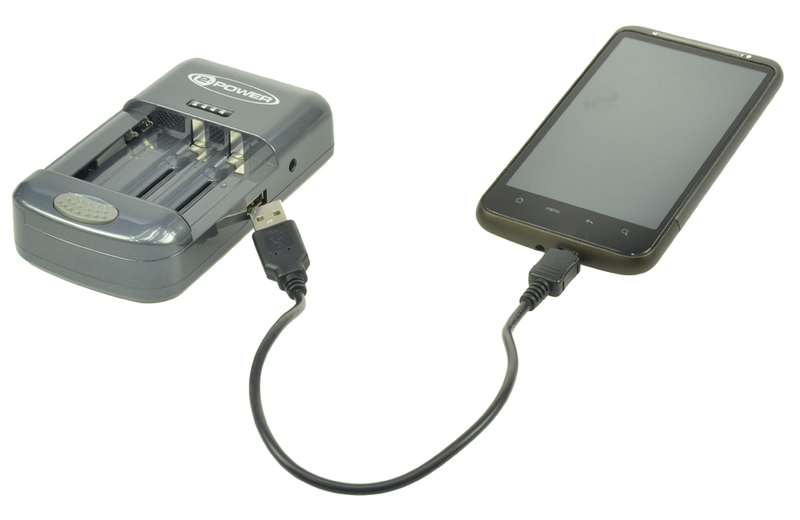 Simply adjust the charging pins manually to correspond to your batterys contacts and plug in to the mains or DC Car socket to begin charging. 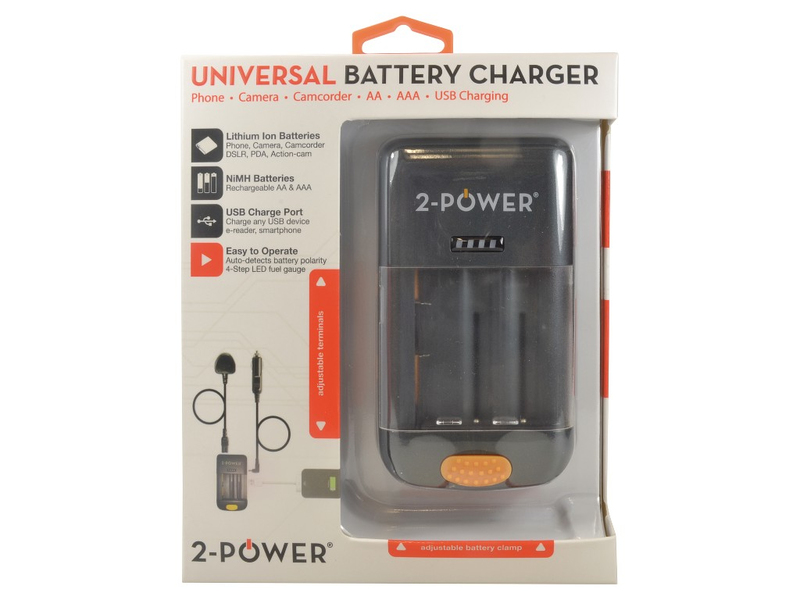 The charger automatically senses positive and negative polarity and is suitable for charging 3.6v, 3.7v, 7.2v & 7.4v Lithium ion Battery Packs.|The unit is also able to charge AA & AAA NiMH recharegable batteries and USB enabled devices via the 5V 1000mA USB port. 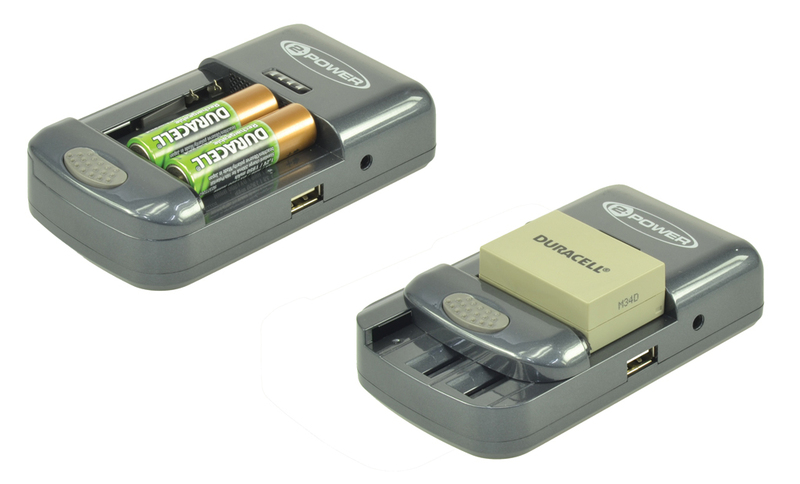 - Includes DC Car socket/USB Port for USB device charging/Charges AA & AAA batteries also/Suitable for charging 3.6v, 3.7v, 7.2v & 7.4v Lithium ion Battery Packs./Includes USB port for charging of most USB enabled devices such as iPod,iPhone, Kindle, BlackBerry./Charges via the supplied UK or EU Home Mains Plug or 12V DC car socket.